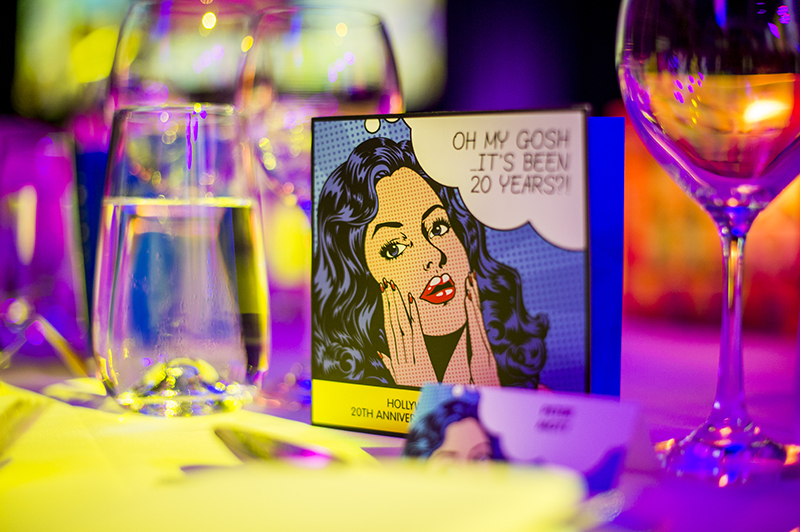 To create a fun, vibrant Gala Dinner to celebrate 20 years of Ramsay Healthcare at Hollywood Hospital. The colour board Lux proposed was a vibrant high impact colour scheme, inspired by Pop Art, which would be used as the basis for lighting design within the ballroom. 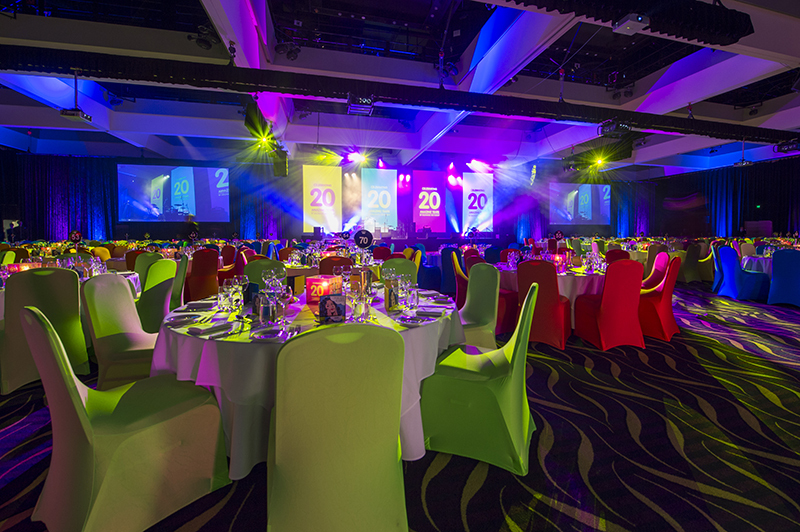 Lux transformed the ballroom by using four vertical portrait screens which provided a backdrop to the stage, with custom multimedia, and also installed two standard screens around the room which showed live feed video footage of entertainment and speeches. An illuminated ice bar, dance floor with a custom artwork, and graphic wrap vase centrepieces all complimented and brought colour and vibrance to the room. Strong pops of colour created a sense of energy which was a surprise and delight to all in attendance. 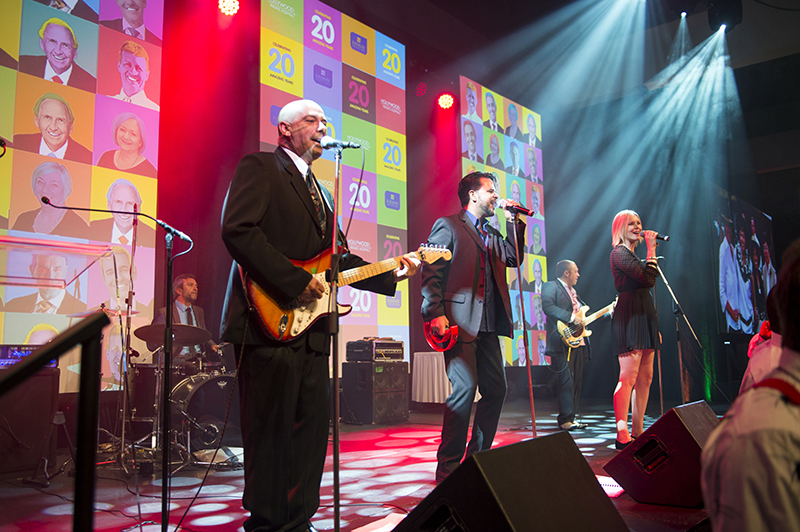 Hollywood Private Hospital staff celebrated the last two decades in style!